Looking out from the glass doors of the The Manor On Golden Pond’s inn library, I see a layer of ice quickly forming on Squam Lake and the White Mountains surrounding it have an eerie cast of white from the winter frost and dustings of snow. The Manor On Golden Pond is festively decorated for the season, white lights twinkling outside as dusk settles in and the inside is warm with the glow of wood-burning fireplaces, lights on the Christmas tree, the soft scent of hot cider and the general quiet of the lakes region of New Hampshire just before Christmas. A time for quiet contemplation, we are cognizant of all the challenges in the world and how truly fortunate we are in this amazingly beautiful place near Squam lakes and White Mountains. 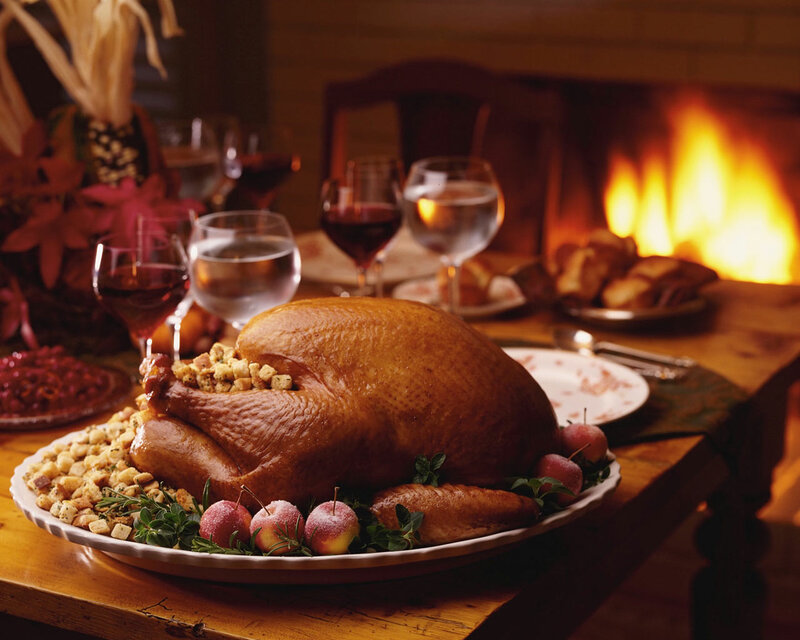 We are thankful for all we have and the opportunities we are offered. We are truly grateful for our families and friends. From the Manor on Golden Pond, we wish you all a joyous Christmas. Valentine’s Day is a special occasion celebrated all over the world. And though Americans have our traditional way of celebration, other countries recognize different customs of showing their love. As The Manor on Golden Pond in Holderness, NH hosts guests from all over the world, it has been interesting to learn about diverse traditions. In the early 17th Century, many women had superstitions surrounding Valentine’s Day. Some believed if they saw a robin fly over their head they would marry a sailor, if it was a sparrow they would wed a poor man and if luck would have a goldfinch fly above them they would marry a millionaire! Japanese tradition celebrates Valentine’s Day not just on the 14th of February but the 14th of March as well! On the 14th of February, women present their husband with a gift and on the 14th of March – known as “White Day”, men must return the gift they received in February. Women are thus ensuring their own gift! In Denmark, folks send candy snowdrops and poems to loved ones and in Finland the day is more about remembering friends than lovers, and is celebrated as “Friendship Day”. The Taiwanese celebrate the day twice a year –February 14th and also on July 7th of the lunar calendar. Men buy roses for their beloved, and the color and number have great significance. For example, one red rose means “an only love”, eleven means “a favorite”, ninety-nine means “forever” and one hundred and eight means “marry me”. In Britain, candy, roses, chocolates, cards and other gifts are the tradition. Sonnets and poems have remained somewhat popular over the years. Folklore dictated unmarried women to write their lovers’ names on paper, wrap them in clay and drop into water. Their future husband would be revealed in the first clay ball to surface. The Manor on Golden Pond invites you to celebrate the amorous month of February with our “Valentine’s Romantic Getaway Weekend”. Pick a weekend in February and enjoy three magical nights in one of our luxury rooms, spa treatments and candlelit dinners including a Chef Tasting 7-course dinner during your stay. You will also go on a private sleigh ride thru Waterville Valley and enjoy various luxuries such as champagne upon arrival and a delectable cheese and fruit tray. 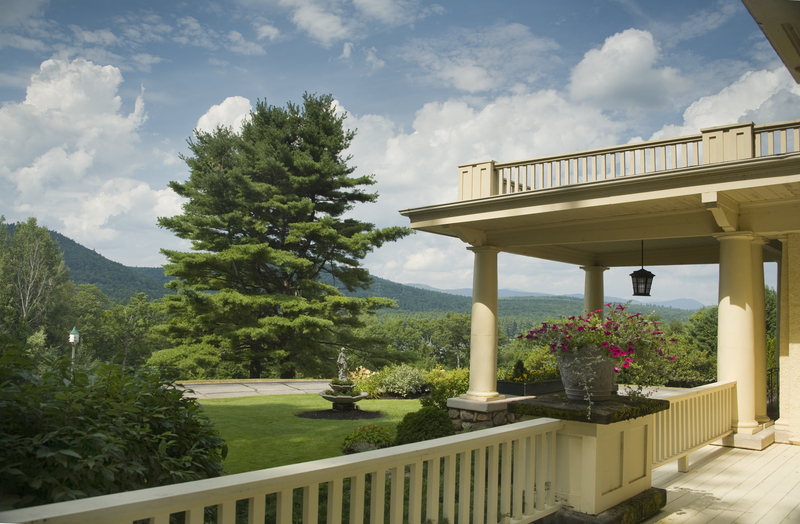 What better place to spend time with a loved one than our beautiful setting in the Lakes Region of New Hampshire. At The Manor on Golden Pond, we will strive to make it a most memorable experience. We look forward to seeing you!